Children attend this class along with a parent or care giver for fun and parent/child bonding. Class time is a good opportunity to develop physical awareness, work on coordination, balance, and listening skills with music and movement exploration. We understand that this age preschooler may not stay with the group and do every activity the instructors demonstrate, recommend or suggest. We simply try to give you lots of options for you to try with your child throughout the class! For many of our gymnasts, this is their first class experience without a parent. Our primary objectives for this group are following the teacher’s instructions, taking turns, and playing well with others within the gymnastics setting. 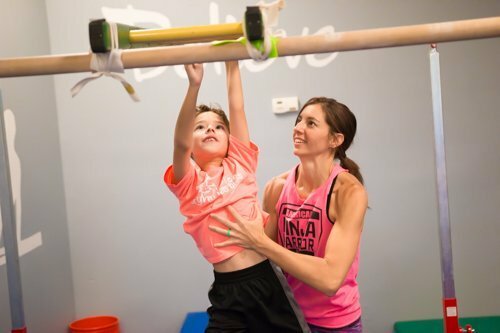 This class involves more specialized work on floor skills such as handstands, cartwheels, and round-offs, and on gym equipment including beams, bars, and trampolines. These students will be prepped for our more advanced Recreational Classes or PreTeam. At this level gymnasts are able to follow directions more easily and are able to learn more advanced motor skills and gymnastics skills. Though we challenge them more, we still focus on having fun! Create an Account in our Parent Portal, then call or email to schedule a visit! 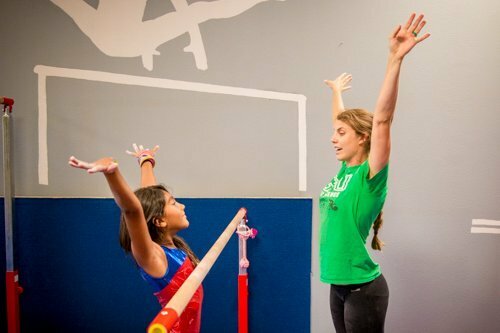 Our Recreational Girls Beginner, Intermediate, and Advanced classes are designed to improve the overall fitness level of the girls while mastering gymnastics skills. We also introduce simple routines on bars, floor and beam. It has a little more “serious gymnastics” feel without taking out the element of fun! 2017 – 2018 School Year Aug 14 – May 26th. This class is designed for gymnasts who would like to take their gymnastics to the next level and are looking to compete. The NinjaFit Class is designed with the energetic and hard working student in mind! 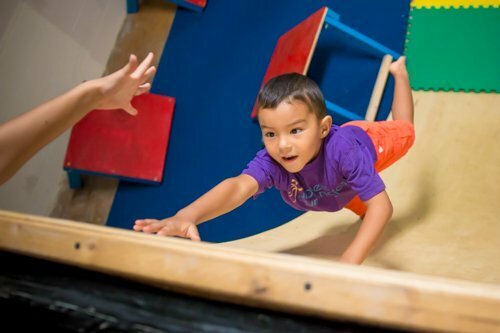 We work on gymnastics skills, ninja skills, agility and strength, but also on building self confidence and character through exercise and physical challenges. Floor Tumbling focuses on fundamental skills such as the handstand, cartwheel, back bend, up to the more difficult skills: Round offs, back handspring, back tucks, aeriels, etc. Overall strength and conditioning is a big part of being able to advance in tumbling skills so that is included as well. We work with the students based on where they are at and their goals of skills to learn. Tuition: $59/month 1st child. $47/month siblings. Check Parent Portal, Monday, July 31st for Openings. The home school program is designed with the unique availability of students to come during the day. They will work all the events and focus on all the fundamental skills. Overall strength and conditioning is a big part of being able to advance in tumbling skills so that is included as well. We work with the students based on where they are at and their goals of skills to learn.